Alongside his stand up, Carey records a popular weekly topical podcast with comedian Barry Castagnola, called "The Proper Gander". The hilarious show has received 5 star reviews from listeners and is available through iTunes. 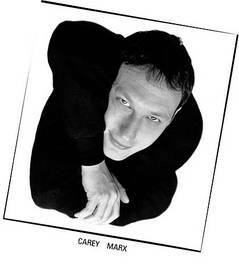 Carey regularly comperes the best clubs in the country and plays at the most prestigious festivals. His first solo show to appear at the Leicester Comedy Festival won a nomination for Best Show. In 2011 Carey returned to the New Zealand Comedy Festival to perform, where he was awarded the prize of Best International Show for the second time- making him the only act in the history of the festival to achieve such a feat. He also took another fantastic new show 'Laziness And Stuff' to the Edinburgh Festival Fringe.